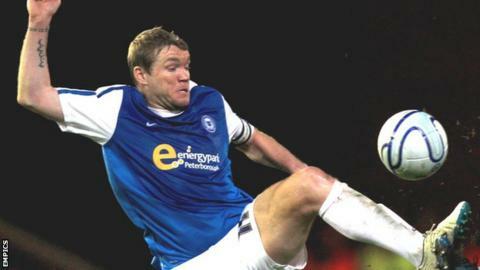 Peterborough United have transfer listed Grant McCann and seven other players, while keeper Joe Lewis has been released. McCann, 32, played 47 times this season, scoring eight goals and providing eight assists. Lewis, 24, was a club record signing when he arrived from Norwich in 2008. The former England Under-21 shot stopper, who has cost Posh an estimated £400,000 including add-ons, has made 200 appearances for the London Road side, but has continuously stated his ambition to play at a higher level. After winning three promotions with Posh, he will leave when his contract expires in the summer. Defenders Mark Little and Scott Griffiths, strikers David Ball and Nicky Ajose and midfielder Matthew Breeze have also been made available for transfer. They join George Boyd and Paul Taylor on the exit list, after the duo signalled their intentions to leave the club when their contracts expire next year. Meanwhile, young midfielder Charlie Coulson has agreed a two-and-a-half-year professional contract, with the option of an extra 12 months. The 16-year-old became the second youngest player to make a senior Posh appearance in last week's draw with Watford.